Silk satin crystal trim collection with a flower crystal trim made with SWAROVSKI (R) ELEMENTS. Silk satin available in off white only. 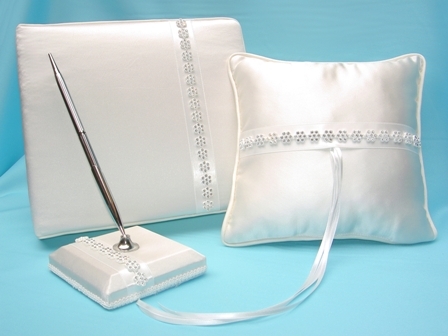 Includes guest book, guest pen, and ring pillow.